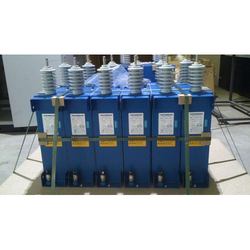 Our range of products include mv heavy duty capacitors, lt heavy duty capacitors, lt capacitor, ht heavy duty special capacitors, ht capacitor and capacitor bank. number of high-quality, self-healing round MKP elements which are wired to each other and installed in a stainless steel enclosure. 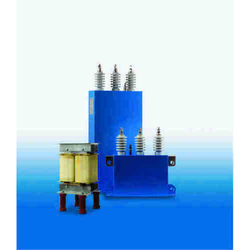 MKP-/MKPg-type capacitors are based on a low-loss dielectric formed by pure polypropylene film. A thin self-healing mixture of zinc and aluminium is metallized directly on one side of the PP-film Vacuum.Our long-term experience, as well as ongoing research and improvements in this technology, ensures the excellent self-healing characteristics of the dielectric and a long operating life of our capacitors. Keeping with its tradition of completely dry products. 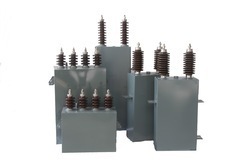 Electronican has launched the first MV Surge Capacitor in self-healing technology.The DSC surge voltage protection capacitor (”surge capacitor”) is the ideal solution for limiting transient overvoltages.In combination with the PD-free layout.The self-healing dielectric provides for extremely long operating life and highest operational safety.Thanks to the solid polyurethane filling. The DSC can be installed in any mounting position. Moreover, there are no liquids to threaten the enviroment or to be considered during disposal at the end of operational life. biodegradable dielectric fluid, Foil material used ALUMINIUM FOIL. 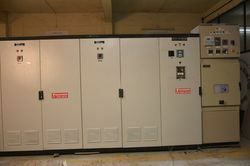 Discharge device Internally fitted resistors. 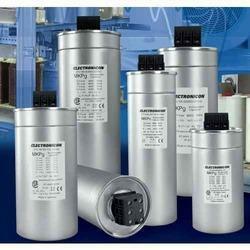 We are the leading supplier of Capacitor bank made available to our clients at competitive prices.